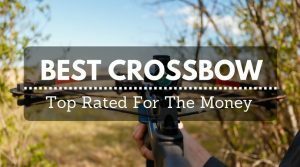 Strong and accurate are the two words that best describe the Excalibur Matrix 330 Mobu Vari Zone Crossbow. This bow is covered in Mossy Oak camo so it is easy to hid in the woods and in a blind. It is one of deadly crossbow with the ability to take out the largest game – including bear, elk, and moose. It is lightweight but incredibly powerful. This crossbow is compact and light, making it easy to store and carry. It does have a safety mechanism, but it does not have an anti-dry firing system. 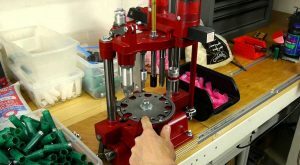 Once the bolt is engaged, the safety engages, too. It is a loud crossbow, but it is not the loudest on the market. The recurve shape of this crossbow comes with a rope cocking device, there is no reason for any shooters to get tired using this bow throughout a full day of hunting. It comes with a 4×32 Vari-Zone scope with distances measured at 10 yards ranges between 10 and 50 yards. 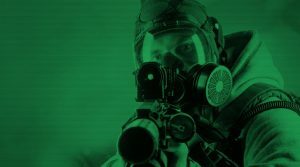 It is a bright scope when looking through it, but the fact that it is not illuminated limits the time the bow can be accurately used. 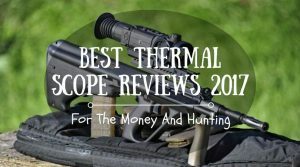 The optics in the sight have an anti-fog coating; the highly reliable scope itself is water- and shock-proof. 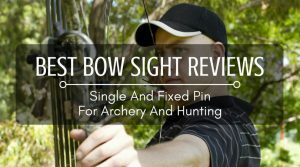 Since the scope is vital to the performance of any bow, it is helpful to know that it holds its sight for months, even if it is just sitting in storage. In order to get the velocity this bow delivers, the draw weight is quite heavy. It requires 220 pounds of draw to get the power the bolt need to make the shots hunters strive to reach. Despite this draw weight, there are bows that need even more power to send. The power stroke is 11.4 inches. The weight of the crossbow is only 5.1 pounds and the total length of the bow is 33.9 inches. The small weight does make the draw weight easier to tolerate, especially since it comes with a cocking rope to make the job accessible to shooters of all sizes. The velocity of this small and powerful crossbow is mighty fast. At 330 feet per second and 84 foot pounds of kinetic energy, this can pierce thick hide with ease. It can be expected to puncture a large animal – even a big Cape buffalo. The crossbow does require some minimal assembly that usually takes less that 15 minutes. You will need an Allen wrench for cap screws and washers for the limb system. The stirrup needs to attached to the riser front. The last two steps include adding the scope and the quiver. Once that is finished, you simply need to sight scope, take a couple of practice shots to be sure everything is ready and you are off to memorable hunting expeditions. There are several benefits to being an owner of this crossbow. The power it delivers is remarkable. 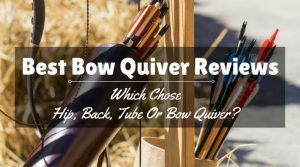 The recurve design makes it a pleasure to shoot and the accuracy is better than nearly every other bow. Even the manufacturer’s customer service is outstanding. 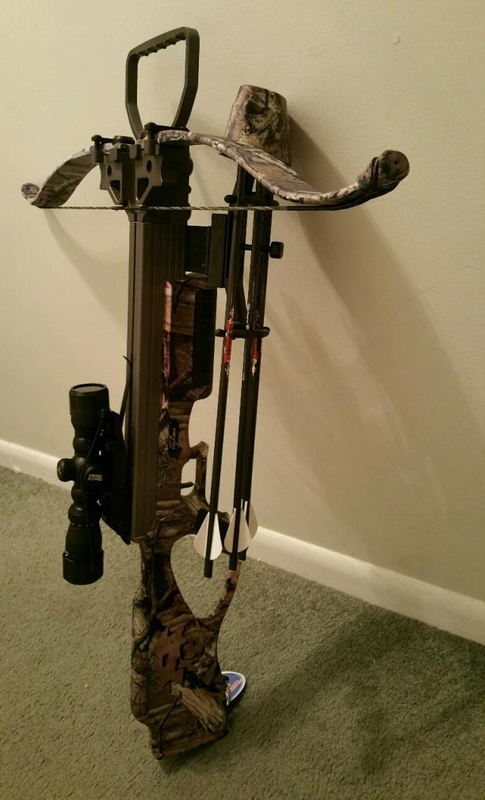 The style of the bow with its camo dipped look is impressive. The bow comes with all of the tools and instructions needed for easy assembly. Once the scope is sighted, it is difficult to knock out of alignment, so each hunting trip does not require realignment. It comes with a cocking rope, which is necessary considering the intensely heavy draw weight on the bow. 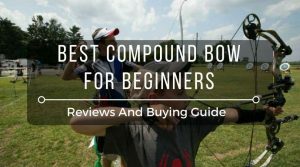 While the draw weight is important to the power of the bow, it one of the cons to it. The 220 pound draw weight is quite difficult to draw this bow by hand, especially for a complete day of hunting. The cocking rope helps ease the challenge. The other problem with the bow is the scope; while it is a useful tool and very well made, it is not illuminated so it limits the time that the bow can be safely shot. Because of the power of the draw, the bow does need strong bolts – which can get expensive over time. The bow is a serious hunting tool and is easy to respect. Even if it has a few faults, it is a great product that is designed to take down big game. 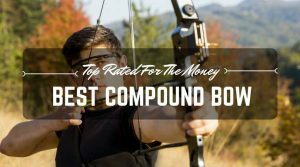 The power, accuracy, and size of the bow makes it a top choice.